Welcome to the Fiscal Services Web page of the Archbold Area School District. It is a pleasure to serve as the district’s Treasurer and Chief Financial Officer. The Archbold School District’s area includes all of the Village of Archbold and portions of Franklin and German Townships in Fulton County plus the Village of Ridgeville Corners, Ridgeville Township, and a portion of Freedom Township in Henry County. The school district consists of approximately 80 square miles. The School District is an independent political subdivision of the State of Ohio and operates subject to the provisions of the Ohio Constitution and various sections of the Revised Code. The effective and efficient financial management of the school district resources are directly related to the quality of the district’s educational programs. The temptation of allowing financial resources to dictate the direction of a district’s educational program becomes more difficult in tough economic times. It is the primary focus of the Board, Superintendent and myself as Treasurer and Chief Financial Officer that we work together to be excellent stewards of the taxpayer’s dollars and at the same time insure that the children that are sent to us each and every day along with those that graduate from Archbold High School are prepared to meet today’s challenges. I hope that the information available on this web-site provides you with a clear understanding of the district’s finances. It is important to be transparent with the financial information as it is available. If you should ever have any questions regarding the financial information that is or is not available on this web-site, please feel free to contact this office at anytime. 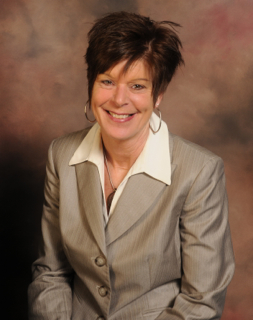 Christine Ziegler began working as the Treasurer/CFO of the Archbold Area Schools on January 1, 2007. Prior to her employment with the Archbold School District, she was employed with the Otsego Local School District as Treasurer/CFO for 7 years. Mrs. Ziegler worked in the Archbold School District as High School Secretary and Payroll Clerk prior to her employment with Otsego Schools for 15 years. Mrs. Ziegler reports directly to the Board of Education. Many of the duties and responsibilities of the Treasurer are outlined in the Ohio Revised Code and include the receipt, disbursement, and investment of all public funds, as well as state and federal grants. Mrs. Ziegler with the assistance of the administration is responsible for the development of the district’s annual budget and Five Year Forecast. The Five Year Forecast is a financial planning tool which includes 3 years of actual expenditures, the current fiscal year and 4 years of projection. Many resources contribute to the financial planning and projection. 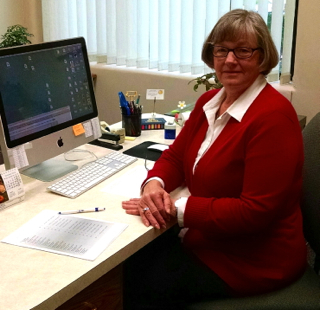 Mrs. Ziegler serves as the secretary of the Board of Education. This includes providing legal notices of all board meetings, attending regular and special meetings and preparing the minutes of all meetings. Mrs. Ziegler prepares Board resolutions and provides administrative assistance in the operation of all school student activity accounts. Mrs. Ziegler also communicates to the Board and administration financial management information, including the determination of tax levies and the sale of bonds of issuance of notes, if needed. Mrs. Ziegler oversees one assistant, Susie Enderle. Mrs. Enderle’s primary responsibility is payroll and to ensure proper personnel records and timely disbursements of payroll are performed. Other responsibilities include the maintenance of official records of employee absences, as well as coordinating the district’s employee fringe benefit programs. If you have any questions regarding Archbold Area School’s finances, feel free to contact Mrs. Ziegler at cziegler@archboldschools.org. You will need to login with your special staff login to access content on this page.